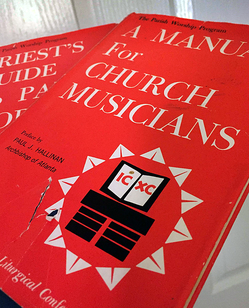 Jeff Ostrowski at Corpus Christi Watershed has made available a PDF copy of “A Manual For Church Musicians” (1964) — 130 pages. You know that we are always interested in trying to figure out how the Mass changed during the 1960s. It is extremely well-produced, but I would suggest to you that the content is quite poor. But it's interesting from a historical point of view.